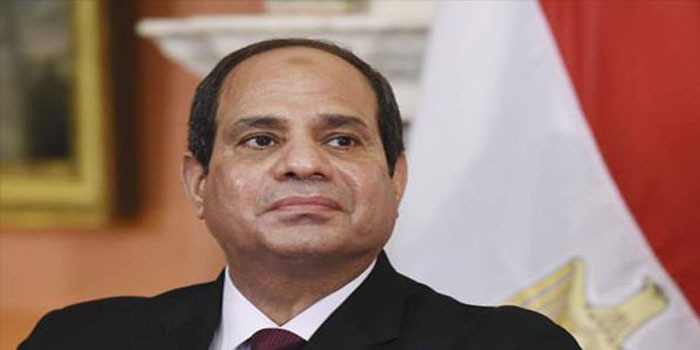 Egyptian President Abdel Fattah El-Sisi ratified on Saturday a 45-article law combating extremist and terrorist organisations using the internet to carry out terrorist attacks. Law 175 in the year 2018, titled “Anti-Cyber and Information Technology Crimes,” was published on Saturday by the official Egyptian Gazette. It prohibits “the dissemination of information on the movements of the army or police, the promotion of the ideas of terrorist organisations.” The law’s first chapter on penalties, from article 14 to 22, covers crimes of hacking information systems. Article 20 imposes a fine ranging from EGP 50,000 to EGP 200,000 and a two-year prison sentence on individuals convicted of hacking state information systems. The second chapter, from article 24 to 25, tackles crimes committed via information systems and technologies, and crimes related to emails. Those found guilty of creating an email, a private account or a website using the name of another person or institution can be sentenced to three months in prison and fined between EGP 10,000 and EGP 30,000. According to artical 7 of the new law, websites that publish material posing a threat to the country’s security or economy can be blocked through a judicial process. The newly passed law was originally approved by the Egyptian parliament in May 2018.